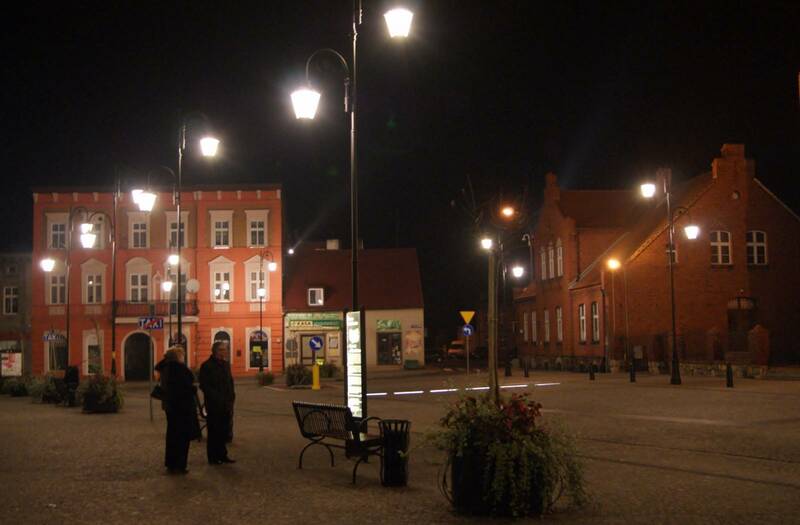 In medieval times, Żnin was one of the most important towns in Greater Poland. 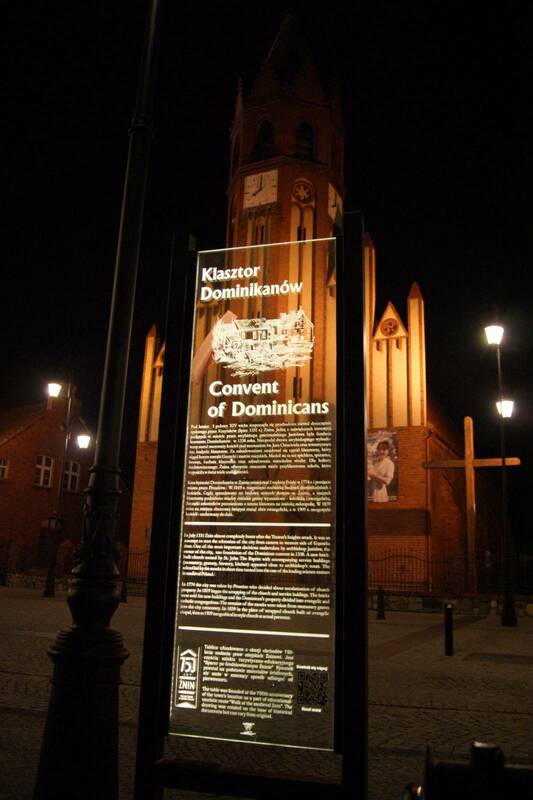 As the residence and landed estate of Gniezno archbishops, it used to impress with numerous works of architecture. 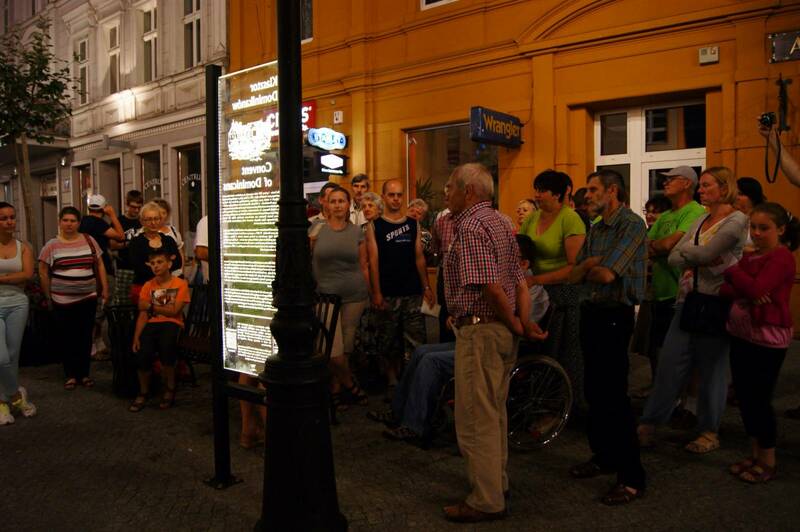 All that remains of them today are records in centuries-old documents and a trail marked in the heart of the old town. Please take a stroll along the streets of the Żnin that ceased to be – it’s the perfect way to get to know its remarkable history; however, walking the medieval route does not mean uncovering all of Żnin’s secrets. The historical town hall (Magistrat, the seat of the Museum of Pałuki Land) is also a must-see as a visit there gives you a chance to learn the fascinating history of how the Polish press came to be printed in colour and what the traditional Paluki culture has to offer. The first masonry building in the town, most likely founded by Jacob of Żnin in the spot where an earlier wooden chapel previously stood. Currently, the Church of St. Florian can be found here. The first archbishops’ manor used to be where the presbytery is now. The most remarkable of Żnin’s three town gates. Today, its outline can be seen in the town’s coat of arms. A drawbridge over the river Gąsawka that could be raised to protect the town led to the gate. Two other buildings which no longer exist were situated nearby: the Church of Holy Trinity and a hospital. The mid-14th-century monastery buildings stretched from the street called Wielka (Śniadeckich) to the bank of the Gąsawka river. They included the Church of St John the Baptist, a school, residential buildings, a granary, gardens, a brewery, and the monastery graveyard. Centuries ago, the residence of Polish prelates used to be located where the market square is now. Here, there used to be a mansion, a stable for a hundred horses, a watermill, a treasury, and a prison. Building materials for the manor originated from a Venetian palace that was pulled down. The gate used to stand at the junction of two streets, Kościuszki and Podmurna, to guard access to the town from the direction of Poznań. Here, for instance, wares brought to Żnin were checked to make sure they didn’t break the local craftsmen’s monopoly. The gate was fitted with a drawbridge, a solid oak door, and turrets with arrow slits. The least known among Żnin’s gates. Its strategic importance was rather low as it faced the edge of the lake, where a fish market and town baths were located. Most likely, the gate was erected in the “Biskupin style” out of wood and soil. Along with the walls of adjacent granaries, it formed the southern perimeter of the town. Built in the middle of the 15th century, a fortified tower was the first non-ecclesiastical masonry building in Żnin. Part of the town hall, it was supposed to not only keep local documents safe from fire, but also display the town’s might. During the Polish–Swedish wars it was destroyed and was later rebuilt. Today, its chambers present the History of Żnin exhibition with a reconstructed armoury, councillors’ boardroom, and treasury.